Tia Pu is a Senior Manager with AXIA Partners with experience in technical accounting research and implementation, derivatives and MTM accounting with crude, petroleum products, natural gas and power products, SEC, FERC and internal reporting, risk control, SOX, process improvement, and system conversions in the energy, public utilities, financial services, insurance, manufacturing, and technology industries. Tia has led derivatives and MTM accounting for crude, petroleum products, gas and power products and an IFRS 7/SFAS 157 project analyzing data and compiling derivatives fair value disclosures, and performed daily risk control activities on the gas and power desks for a major energy trading client. 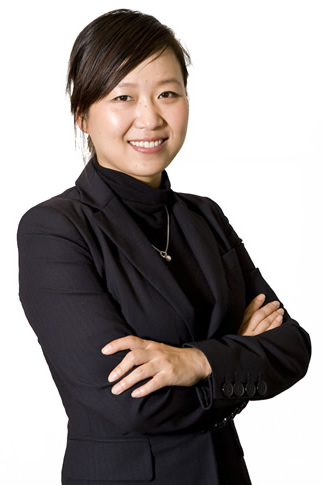 She has served on a SEC reporting team and compiled SEC filings and purchase accounting memo subsequent to a major oversea acquisition for an MLP client. Tia has led multiple financial reporting initiatives during an IPO-readiness project for a multi-billion dollar E&P company. She has also performed an SAP system implementation, serving as the main contact point between the SAP IT team and various accounting groups, defined conversion requirements and dependencies and participated in data conversion strategy execution, delivery and testing of conversion programs during the assembly test, quality assurance models, go live cutover and production. Tia has served as the Financial Reporting Manager assisting with the preparation of the company’s initial SEC filing after becoming a public reporting entity. Previously, Tia consulted as a Plant Accounting Supervisor and was responsible for overseeing the financial activities and analysis of power generation facilities. Tia has also served on a financial reporting team responsible for a SEC restatement for a major client in the financial services industry, performed research on financial reporting issues and related disclosure of peers and competitors. Tia started her career at Deloitte as an Auditor where she served major corporate clients in diverse industries, governmental and non-profit entities. Tia earned a Master of Science in Accountancy from Boise State University and a Bachelor of Science in Accounting from Nanjing University of Science & Technology. Tia has passed all four parts of the CPA exam and is currently under licensing process and is a member of ISCPA’s CPA Committee.